We pride ourselves on providing the best service & the best quality products within the Jukebox & Party Hire industry. We currently hire full size Digital Jukeboxes, Slushy Machines, Coldrooms, Popcorn Machines, Fairy Floss Machines, Audio Equipment, Lighting, Effect Machines, Chairs, Tables & Dry Bars. We will do everything to ensure that your event is a huge success. We always ensure your equipment is delivered on time. We service the Townsville area as well as Magnetic Island, Ayr, Ingham & Charters Towers. Keep checking back to see what new equipment we have to offer. Do you have a delivery or pickup fee on top of your hire costs? Delivery & pickup is included with Jukeboxes and Slush Machines to majority of the Townsville area. Pickup is available for other items (such as chairs, speakers, etc). If you can’t pickup the items we can arrange Delivery for an additional charge. If you require delivery to any ‘outer’ suburbs or unsure if we deliver to your suburb, please Contact Us. If you live in an area that is just outside of Townsville, but not quite as far as the next major town, please contact us & we will do a custom quote for you. We do ask for a $50* security deposit on all hires to confirm your booking. We request this be paid at the time of booking & we then refund this to you after the hire. If you happen to change your plans & need to cancel, then this deposit is non-refundable if you cancel. *minimum $50 security deposit per item group. Some items can be combined. I am having my function in a large venue, will your Jukebox be loud enough? Yes. Our Jukeboxes come with a large 15″ Speaker that can pump music out over a large area. However, we are aware that it needs to sound great, so we do have additional speakers available for hire. Can I pick up the equipment myself & return it the following day? Unfortunately with large items such as Jukeboxes and Slush Machines we must deliver them to the site ourselves. It is also in your best interest to ensure that all the equipment is checked & in good working order when we leave it with you. With smaller equipment, such as PA Systems, you can pick them up from our Garbutt premises or we can deliver them for a small charge. If your function is out of town, we have specially designed travel crates for the Jukeboxes and Slush Machines to be transported in. Please Contact Us for more information regarding out of town hires. Do you provide alcohol for the Slush Machines? As we do not hold a liquor license, we are unable to supply alcohol with the Slush Machines. However, we try to make it as easy as possible for you on the day by providing everything else. We will provide the flavours & set up the whole machine for you. Once it is already mixed & cooling, all you need to do is add your desired alcohol into the mix. Then it is ready to go! What if I can't find the song I want on the Jukebox? Although we do try our best to have a bit of everything on our Jukeboxes, occasionally there might be a song that you want to listen to that is not in the library of music. Our Jukeboxes have an AUX input for this reason. You will need access to a basic 3.5mm jack cord that you can plug your iPod, mp3 player or mobile phone into & listen to a song through the Jukebox’s speakers. On Saturday night we hosted a private function and used the service of Townsville Jukebox and party hire. We hired a slushee machine which was a huge hit with the guests. The experience from our initial contact was friendly and professional. The machine was delivered in the agreed timeframe and set up with our chosen flavours. It was set up on a stainless steel bench which was provided with the machine. We all enjoyed slushees throughout the evening and were pleased to not have the hassle of having to return the machine as pickup and delivery was bundled into the whole package. 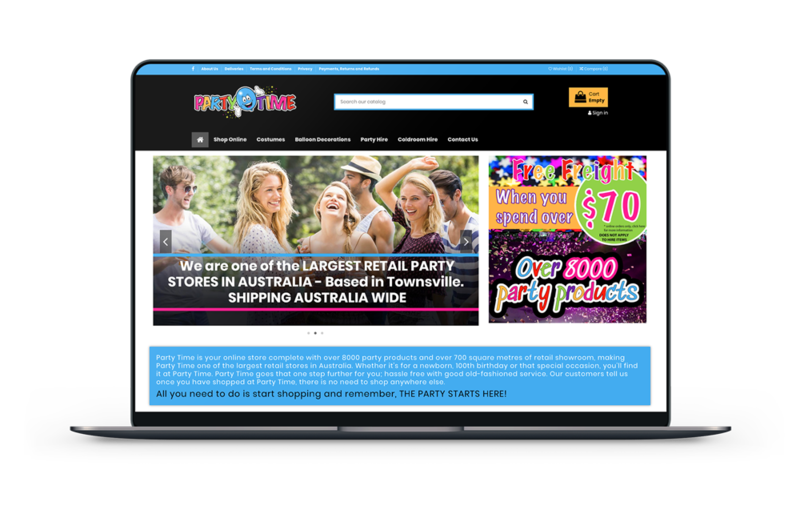 We wouldn’t hesitate to recommend Townsville jukebox and party hire they made the experience of dealing with them a pleasant one. “Thankyou so much for the hire of your terrific Jukebox. We were so impressed with your introduction of the usage of the Jukebox, together with the assurance that you were just a phone call away if something went haywire with the system. Contact Us to Book a Jukebox Today! You won’t be disappointed!